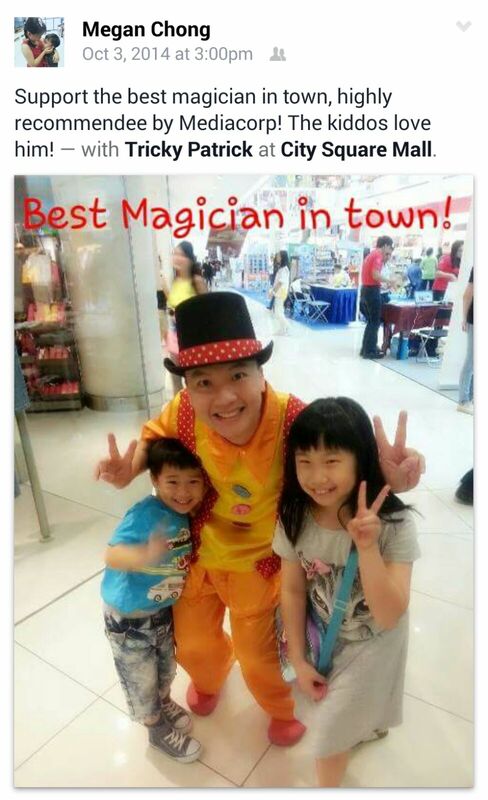 Singapore's #1 Children Magician for ages 4-10. 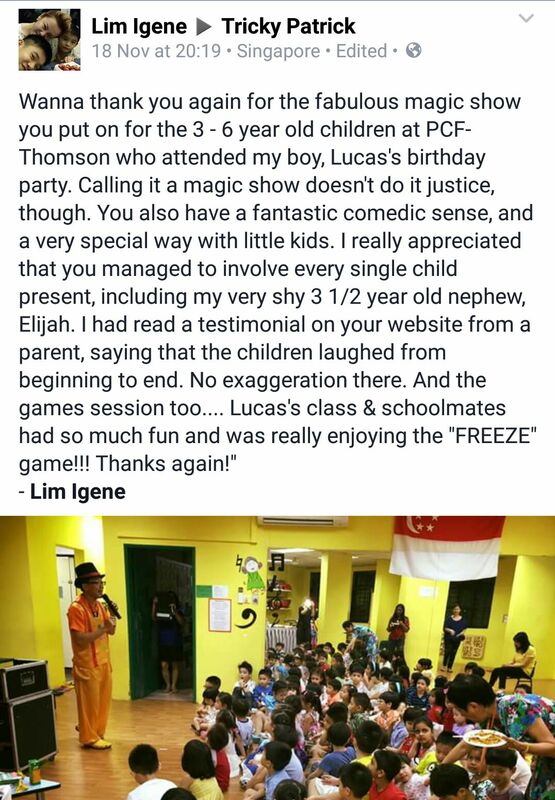 As a parent, I wish that my child's birthday party will be a happy and enjoyable one for himself and his friends. As such, I always worry about picking the wrong entertainer for his party. I had been using a particular entertainer for the past three years. 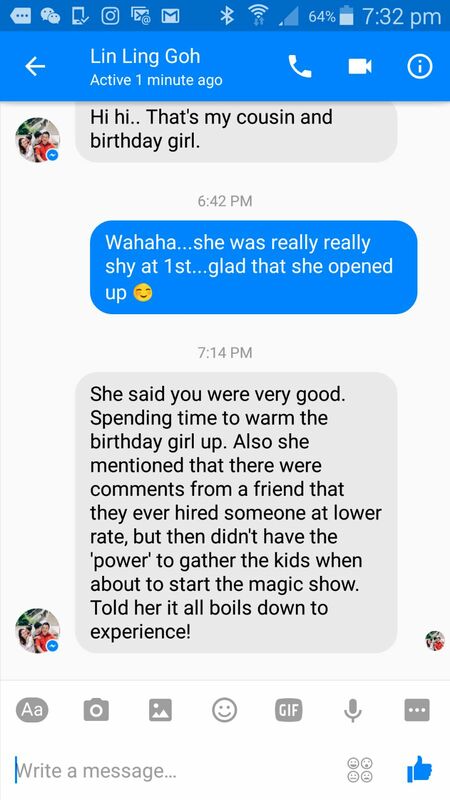 Every time after the party, my son will tell me about his birthdy party itself and I'll know whether the birthday party was a successful one. This year, someone introcudced me to Tricky Patrick Magic. I went ahead to book a birthday package with them for 2 hours. 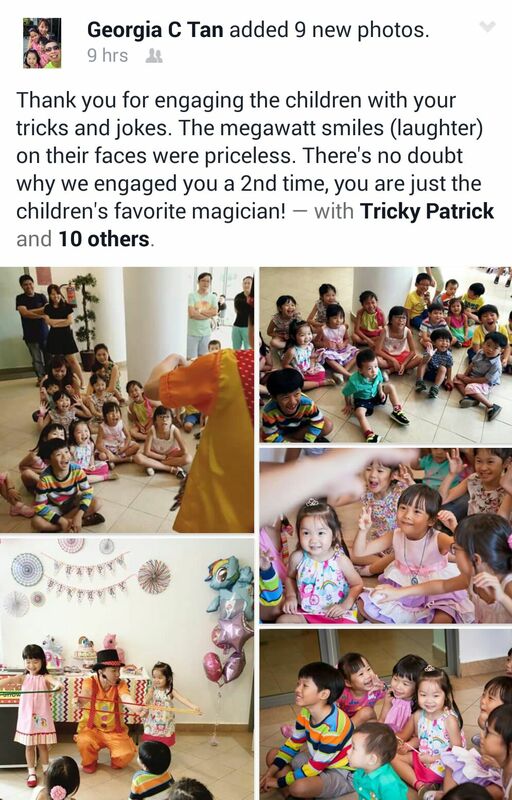 We have the face painting, magic show and balloon sculpturing... during the 2 hours, I could see that all the children enjoyed themselves very much. Everyone was so happy that they kept asking Tricky Patrick to do the show again. 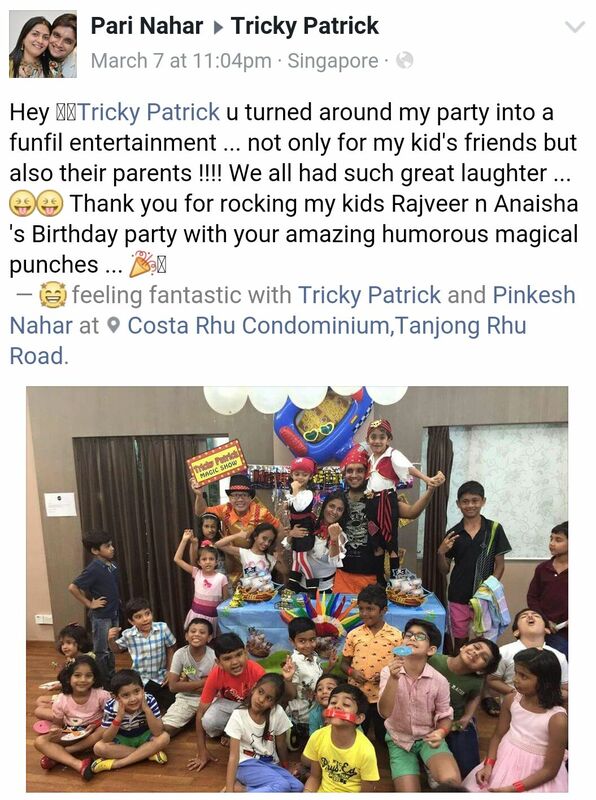 My son enjoyed the whole party so much so that he 'TELLS' me to book Tricky Patrick again for his little sister's birthday which is just around the corner... And I did that on the day itself. 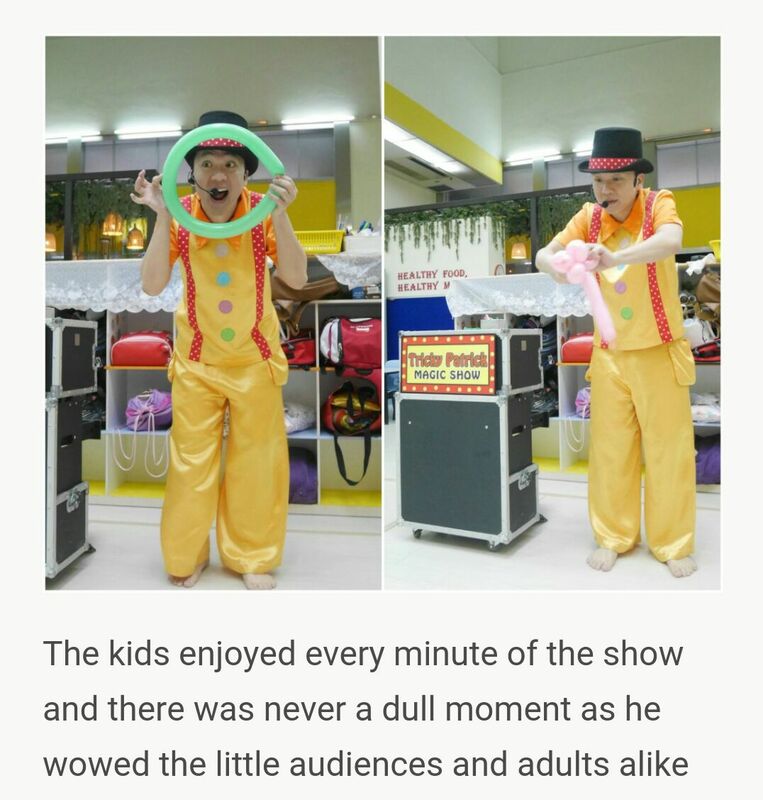 I would like to tell those parents that have not seen his show to go aheard and book his service. Tricky Patrick will not disappoint you and your child. 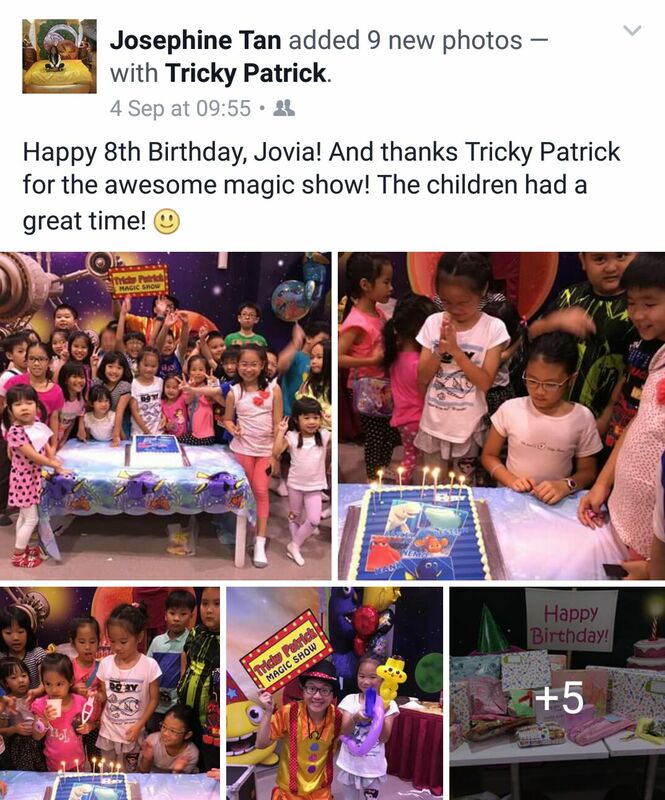 Tricky Patrick recently entertained my 6 years old boy at his birthday party held in his school. 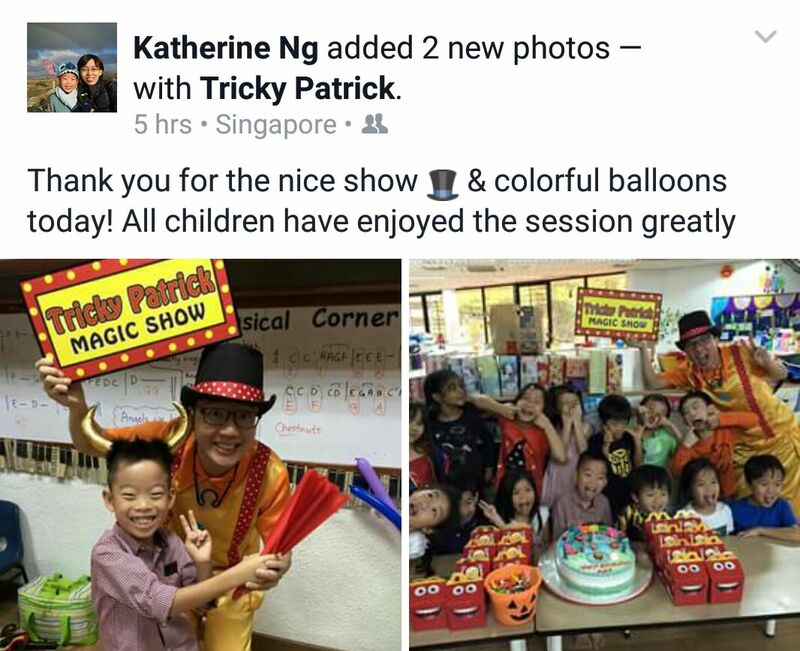 Tricky Patrick's spectacular show was not only amazing and entertaining, but he also actively engaged the children by inviting them to participate in the show. 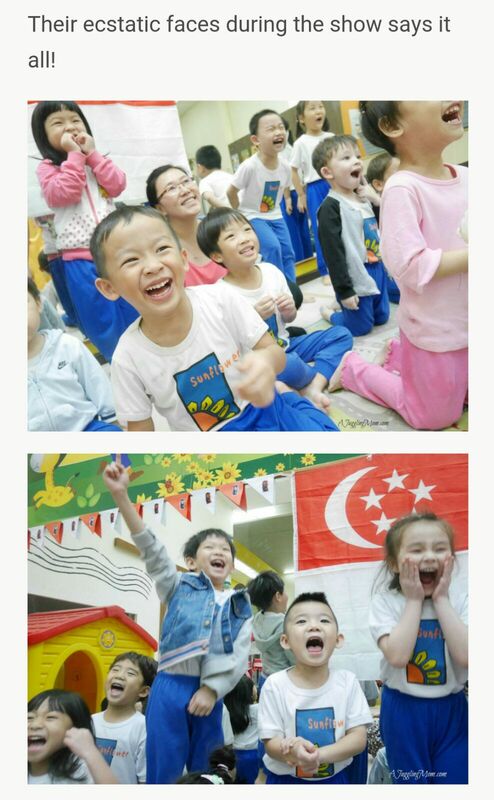 The kids were laughing and clapping and highly participative. Of course my son being the birthday boy enjoyed special attention. 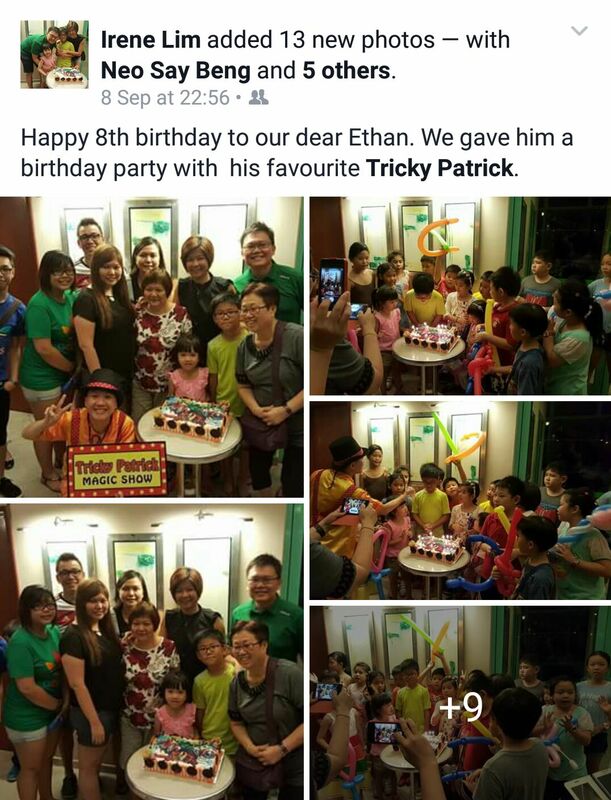 I would highly recommend Tricky Patrick for any social gathering meant for kids.